This morning, I fixed something. No, it wasn’t an engine, a motorcycle, or an electric car. 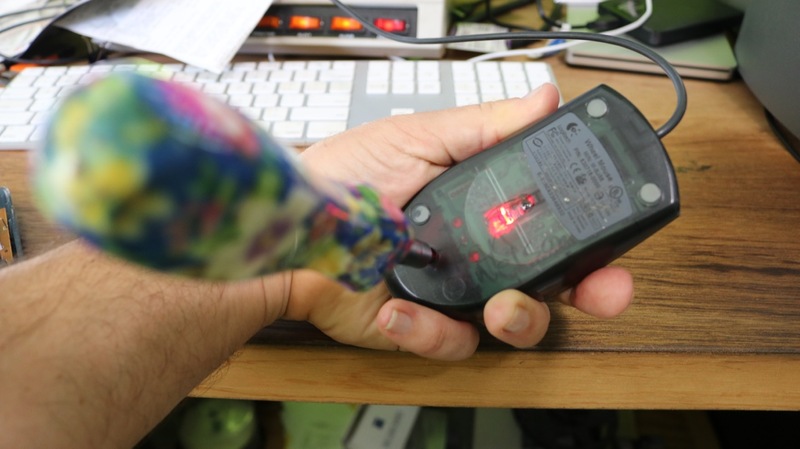 I fixed my computer mouse… and I’m PROUD of it. Earlier this week, I was doing some work as a “data wrangler” at a tech conference. I was at my computer all day, moving around and backing up camera footage of the event, which is now all solid state media, SD cards, and ones and zeros. However, I was getting extremely frustrated, as my computer was acting up. I finally tracked it down to my MOUSE button having gone bad. 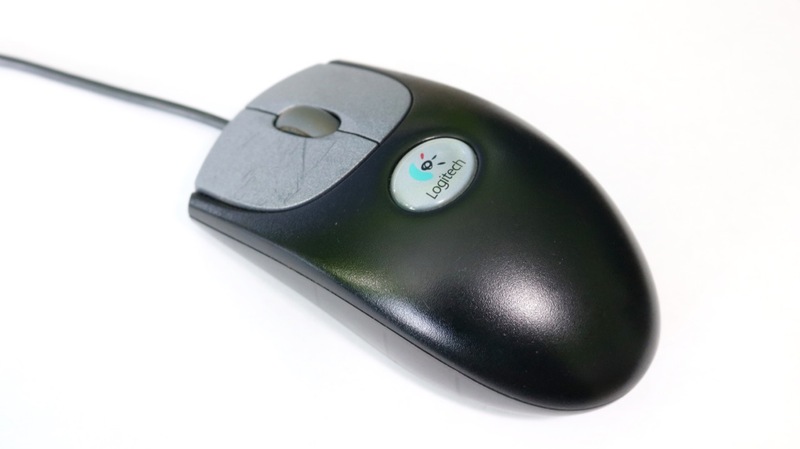 The second day, I brought my OTHER mouse, which worked considerably better, but the scroll wheel has a weird lump in it, which can make that mouse a little frustrating to use. Both computer mouses are a very plain Logitech brand corded USB optical devices, which I have had FOREVER. (I remember bringing it to a class that I took 15 years ago.) I like that they are simple and work well, but maybe it’s time to replace them. So, I did a quick look online to see what was out there. Unfortunately, the same model mouse is no longer available. But I like THIS mouse! That’s when I decided that I would just fix it. How hard could it be!? I flipped my mouse over. This is the first one, which had the bad button. On the bottom is a single Philips head screw. Not a weird “anti-tamper” screw. Not a “Warranty Void if this seal is broken” sticker. Just a plain old screw. I unscrewed it and pulled the mouse cover apart. The front edge had a lip, holding the case together. With one small tug, the top cover was removed. Inside, I could clearly see the micro-switches for the left and right mouse buttons, as well as the scroll wheel. I tested the left button micro-switch, and sure enough, it didn’t feel like it clicked as solidly as the right switch did. 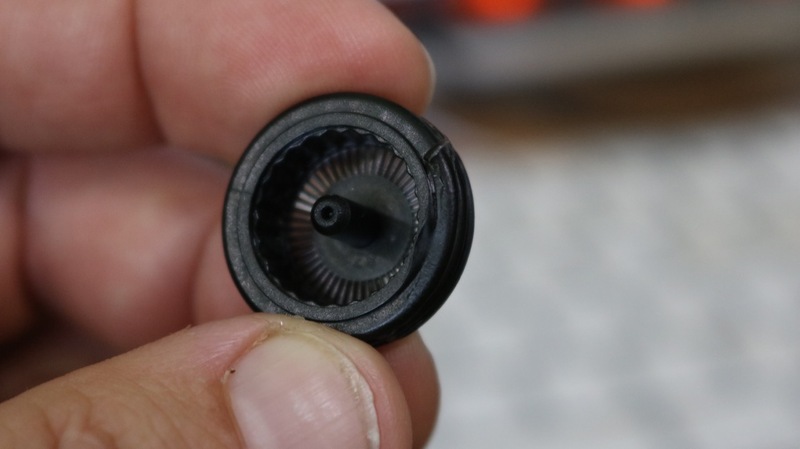 Upon inspecting the scroll wheel, I also noticed that it came right out, simply by lifting it. In a clever bit of design work, whoever created this mouse did so in such a way that the single screw and cover pretty much held together EVERYTHING. I was able to simply lift the wheel out. On the other mouse, the one with the bad wheel, I took it apart and removed the scroll wheel. Sure enough, the wheel itself was out of round. I pulled off the rubber cover and could see that the plastic of the wheel was damaged. I think this mouse got slammed in a hard case once upon a time, which actually physically damaged the wheel. With the old wheel out of the mouse, I slid the new one it, plugged the mouse into the computer and tested it. The mouse worked great! After that, it was just a matter of putting the cover back on and the screw back in place. Instead of sending two mice to the electronics graveyard, paying good money for a new one, along with the embodied energy and environmental costs on new manufacturing, I had a like new mouse for just a little curiosity, a screwdriver, and five minutes of work. So, no, this post isn’t about electric cars, but I think it still shows how we can go a whole lot farther on a whole lot less. Till next time, Stay Charged-Up! PS: What should I do with the first mouse? It no longer has a the wheel, and the main button is only intermittent. However, it’s still a USB-powered laser! I’m thinking that in itself could be a whole lot of fun for a project!